From "Louis XVIII Climbing the Mat de Cocagne" by George Cruikshank, 1815. 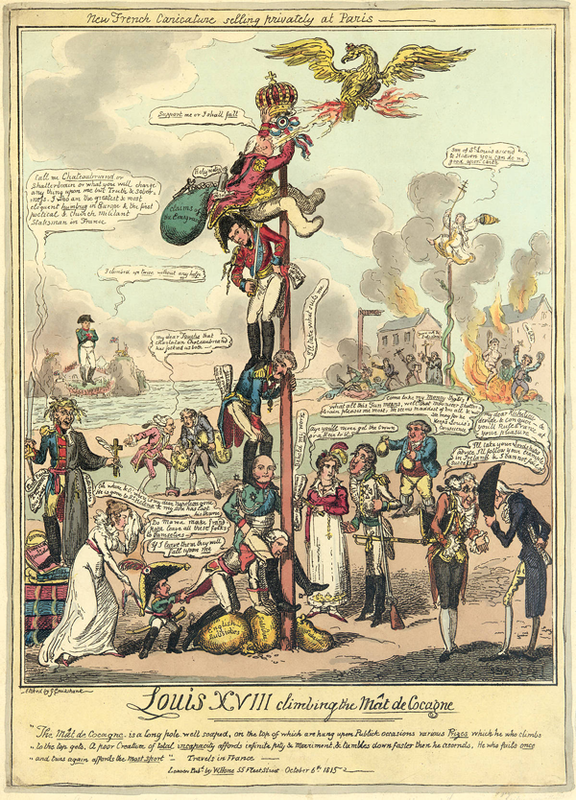 Talleyrand and Fouché are to the left of the climbing figures, with Talleyrand (in pink) saying: "My dear Fouché that charlatan Chateaubriand has jockied us both." 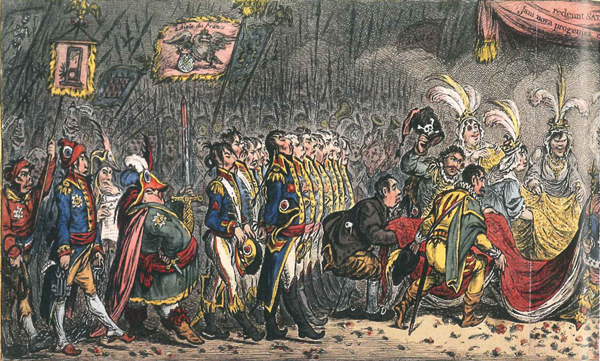 From "The Grand Coronation Procession of Napoleone" (detail) by James Gillray, 1804. A fancifully bloated Fouché carries a bloodied "Sword of Justice" in the coronation procession. 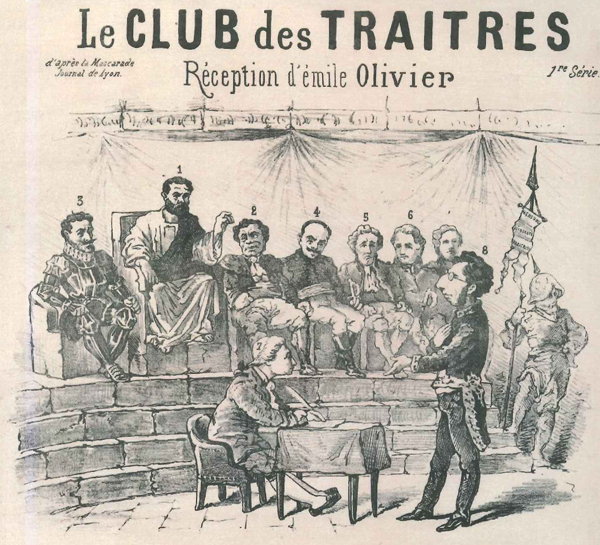 "Le Club des Traitres," with Fouché (2) and Augereau (6) as judges and with Talleyrand (7) as the membership secretary.